Mike Curb College of Entertainment and Music Business alumna Anna Vaus recently won the DISCovery Award in Music Row’s January 3 issue. 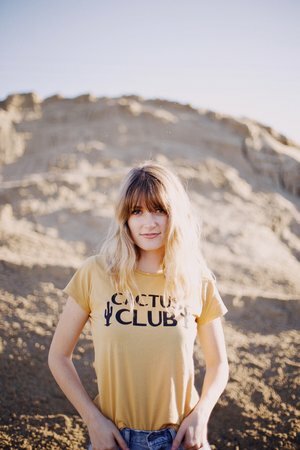 Vaus was the first-ever recipient of the “Women Creators” scholarship, established in 2015 by reigning Academy of Country Music and Country Music Association Female Vocalist of the Year Miranda Lambert. The scholarship awards a female singer/songwriter a scholarship to attend Belmont. While at Belmont, Vaus was featured in Belmont’s Best of the Best Showcase and signed a publishing deal with Black River Entertainment. In 2018, she was chosen as one of six up-and-coming songwriters in Association of Independent Music Publishers’s Class of 2018 and CMT’s Next Women of Country Class of 2019. She is now signed with CAA (Creative Artists Agency) and performs at various venues around Nashville in songwriter rounds and opening for LeAnn Womack, Hunter Hayes, Old Dominion, Lonestar and more.